Not all phobias are well known, partly due to the fact that there are literally hundreds of phobias that people suffer from. One rather unknown phobia is mycophobia; the fear of mushrooms. Like the definition of other phobias, mycophobia is the persistent fear of an inanimate object and the person who has the fear of mushrooms is well aware that the mushroom cannot hurt them, they still have an overwhelming feeling of anxiety and fear when thinking of or being exposed to mushrooms. The cause of mycophobia is generally unique to the individual who suffers from it. Most can link their fears of mushrooms back to their childhood days or their early adult years. Each patient may present with a various idea of where they think the phobia originated. Some mycophobics cannot even begin to pinpoint where the fear started. One woman shared that she believed her fear of mushrooms came from her parents telling her to never touch a mushroom because it was poisonous. 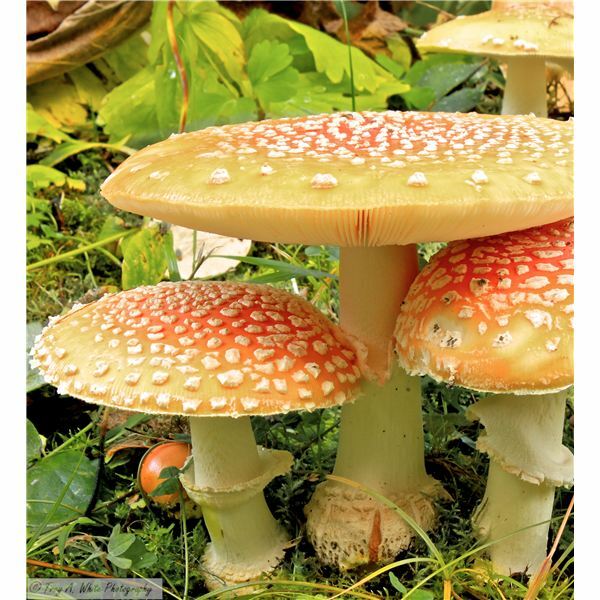 This changed the thinking pattern for this woman as a child and she grew up avoiding mushrooms because she could not rationalize that not all mushrooms are harmful if touched or consumed. If a person has a fear of mushrooms they will likely present symptoms that are mental, emotional, and physical. The severity of the symptoms often is a matter of how afraid the person truly is of mushrooms. Panic attacks can be brought on for people with mycophobia if they think about or are exposed to mushrooms. Less severe symptoms include sweaty hand, shaking, upset stomach, nervousness, and wanting to stop thinking about mushrooms or run away from an actual mushroom. Prescription medication is just one of the ways to help people with their fear of mushrooms. Prescription and herbal remedies can help with the symptoms but a cure can usually only occur with talk therapy or a combination of drugs and therapy. Some medications that are FDA approved for phobias include Paxil, Zoloft, and Effexor. Beta blockers are also sometimes The treatment of phobias used. Generally beta blockers work for people with performance anxiety issues; but the way a beta blocker medication works for someone with mycophobia is it blocks adrenaline from being released when a mycophobic thinks about or sees a mushroom. Anti-anxiety medications such as benzodiazepines can also be used especially if the person who is afraid of mushrooms has frequent panic attacks caused by their phobia. These drugs are often addictive and mostly used as a last resort. If the fear of mushrooms is so overwhelming that it is interfering with your daily activities, social life, or lifestyle you should seek psychiatric attention. However strange you may feel your phobia is, it is a real illness and help is available for you. Suffering from panic attacks and being overwhelmed with anxiety due to mycophobia really lowers your quality of life and can lead to secondary illnesses and affect your overall health if you don't seek help for your fear of mushrooms. Group Therapy for Treatment of Phobias: What is Involved?